A living, breathing work of art draped over a concrete façade. 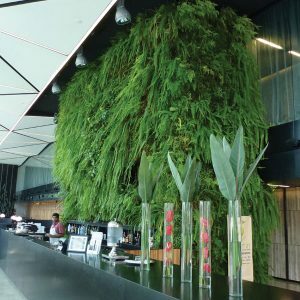 A greenwall is a soil-less vertical garden grown on the surface of a built structure designed to mimic the growing conditions found in nature. 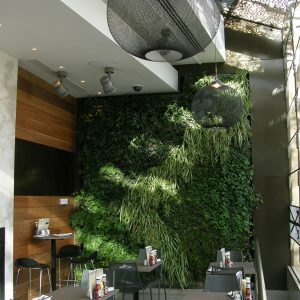 Greenwalls are a dynamic and interesting alternative way to green a vertical surface. The greenery is literally a living skin with unlimited design opportunities. 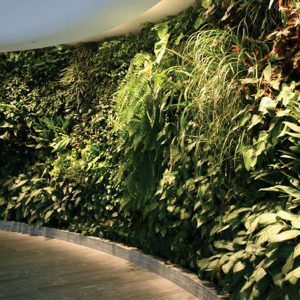 Sometimes called Living Walls, Green Facades, Bio Walls or Vertical vegetation, these walls help reduce temperatures of a building, improve quality of air and reduce noise levels. The plant species are carefully selected for each project, we propagate and contract grow and hope that over time greenwalls can become locations where threatened species are planted in an appropriate eco-system to increase their chances of survival. 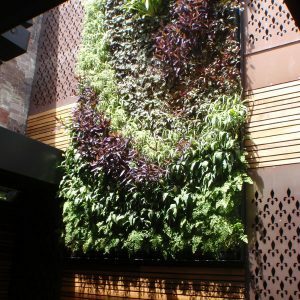 Working with architects, landscape architects, designers and builders, the greenwall company uses award winning design techniques, passion and expertise in horticulture to bring greenwalls to a new level of integration within the urban environment. Our vision is to reclaim the built environment. Wrapping facades of buildings with epiphytic and lithophyte plants to create living, breathing architectural function to every building.